A close approximation to this view is easy to find today, less than 2 kilometres south from the top of the Passo Falzarego, heading north to the Pass itself. Considerable road widening and reinforcement work has taken place since Zardini's photo. 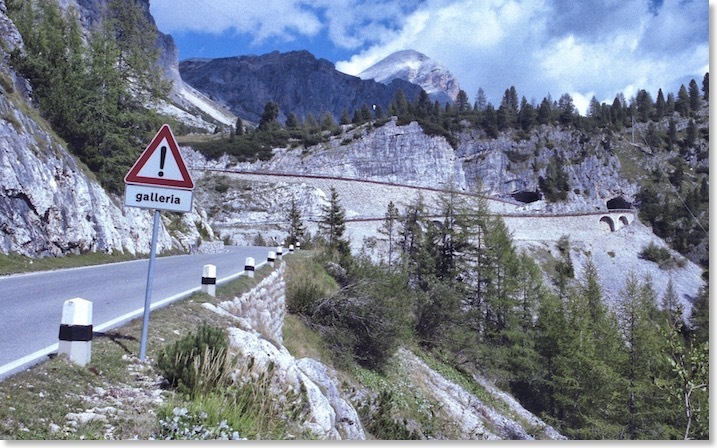 The exact, original viewpoint accessible is no longer owing to avalanche protection works, but the basic line of this set of bends remains unmistakeable. Zardini somehow manages to make this stretch of road look a little larger than it actually is. 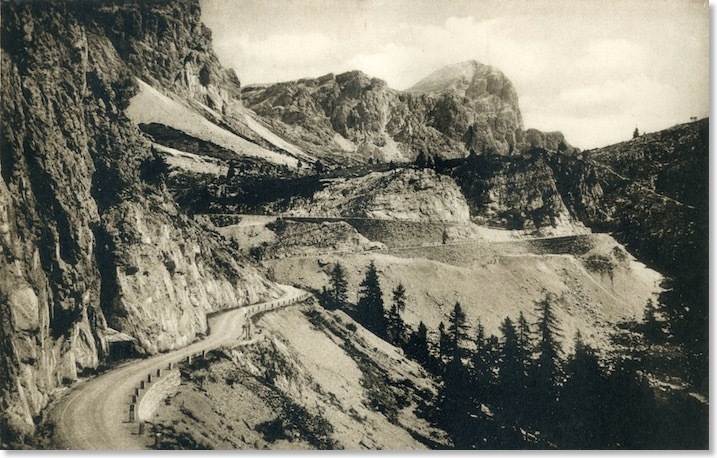 The same photo is used in both of the Zardini guides to the Road. The route enters a short tunnel at that point. The area was close enough to the WW1 front line to possibly have suffered shellfire damage, and the reinforcing arches of the modern view probably date from the 1920s. The work had clearly not happened when the Zardini photo was taken. 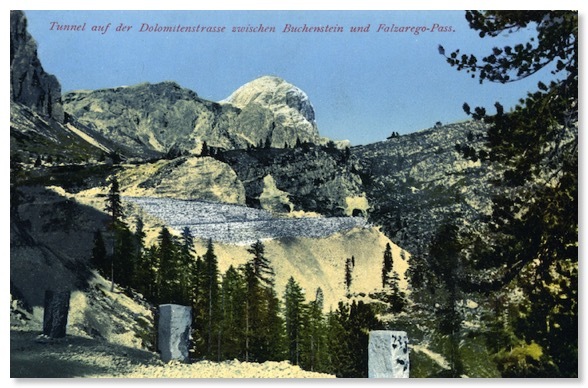 However, Ghedina was only using the same viewpoint used maybe 40 years earlier by “Photoglob” of Zurich. 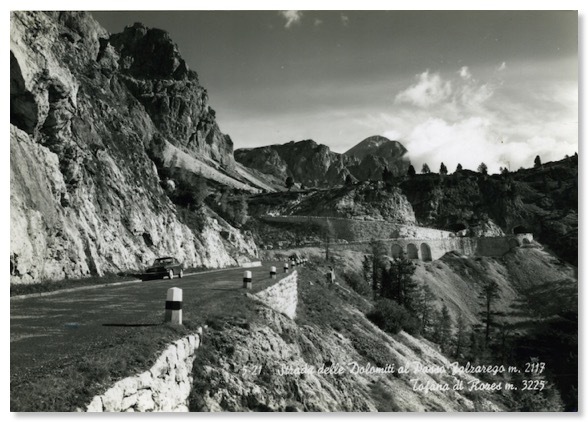 There is a web site reference to the final section of the Road to be completed being a section on the Falzarego Pass. Possibly this piece? 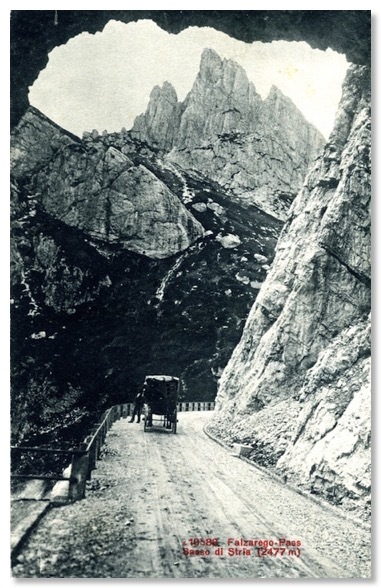 The reference contradicts other texts that say the Pordoi Pass saw the final piece of the jigsaw being added. 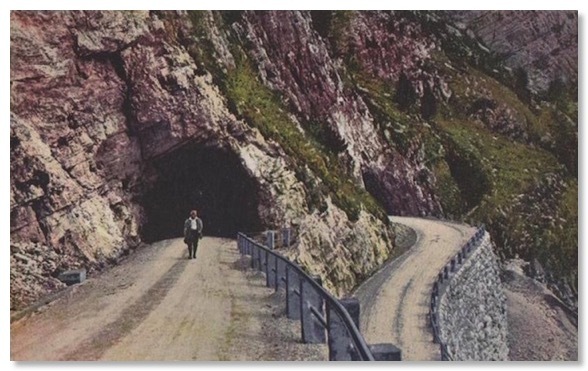 I have seen a rare and early colour photograph online that shows a view back to the point at which these photographs were taken, which was beside the short tunnel in centre shot. 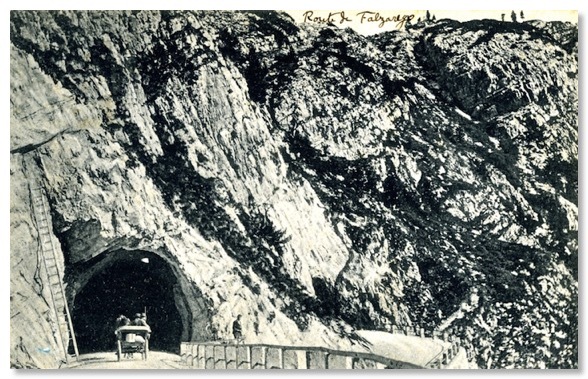 That particular tunnel has been replaced with a concrete avalanche shelter for the road. 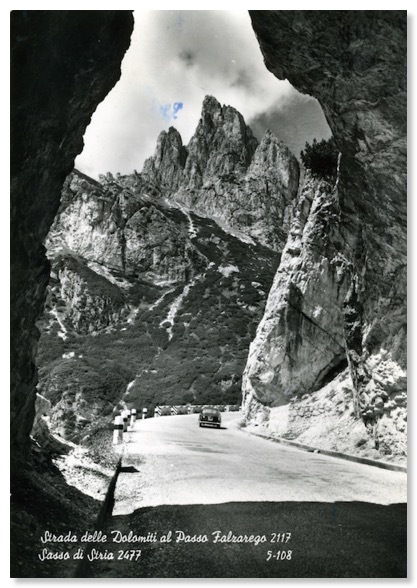 The photo was on a very interesting web site about this part of the Dolomites, but sadly it now appears to have been taken down.